Tuna Melt for the WIN! 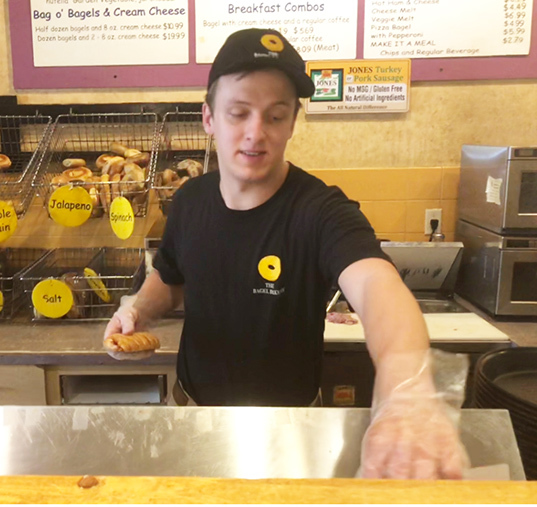 Our friendly and hardworking employee, Clemens, loves to connect with the sea through his favorite menu item! Clemens absolutely loves to indulge in a tuna melt from the Bagel Bakery whenever he gets the chance. “It’s so fresh and creamy and full of flavor; how could anyone not love it?” Clemens said. A tuna melt from the Bagel Bakery includes our fresh, homemade tuna salad and your favorite veggies on top of your choice of bagel or our sun-dried tomato focaccia bread, all covered in cheese and toasted to perfection. We can’t think of anything more fitting for summer than the tuna melt! You can take it with you to the beach, or while you kayak or on a hike! We just wouldn’t recommend this as your choice snack while you’re fishing. It might scare the fish away. Stop by the Bagel Bakery today with just $7.89 in hand and order the tuna melt for yourself to see what Clemens is talking about! What better way to celebrate summer and fight the Florida heat than with a Garden Veggie Sandwich from the Bagel Bakery? We couldn’t think of a better way, which is exactly why we’ve made it our June Menu Item Spotlight. 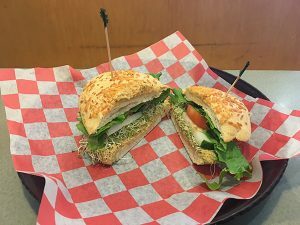 The Garden Veggie Sandwich allows you to choose any combination of veggies, paired with your choice of regular hummus, spicy hummus, tzaziki sauce or garden vegetable cream cheese, all on your choice of bread. This signature sandwich from the Bagel Bakery is so flavorful, rich in protein and nutrients, and a sure way to cool you down while satisfying your summer cravings. There is absolutely no better complement to your family pool day, or your summertime family picnic, or even your lunch break from work with your kids while they’re home for the summer, than the Garden Veggie Sandwich. Come to our restaurant today, with just $6.69 in your hand and see what our hype is about! Imagine this: the sun is out, the sky is blue, the seagulls are chirping and the waves are splashing against the shore. You and your family are sitting back and relaxing on the sand, listening to your favorite tunes and reading your favorite novel. 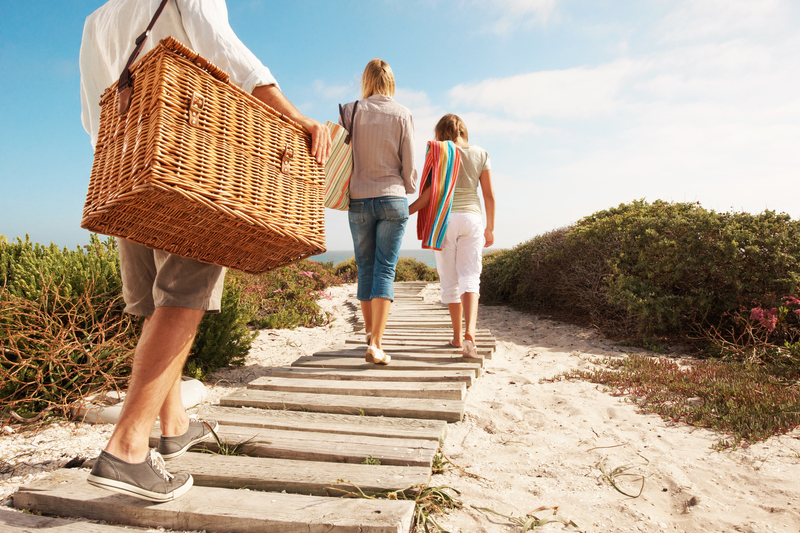 It is the perfect summer beach day, but there is only one thing missing: a refreshing yet filling snack. You’re in luck because we at the Bagel Bakery have multiple options to satisfy your summer cravings. Salads from our salad bar/fruit salad- there is nothing quite as refreshing as a nice cup or bowl of salad or fruit salad on a hot day. The crunch of lettuce and the taste of juicy vegetables, paired with protein-rich, savory and delicious toppings is the perfect compliment to a day at the beach. For less than $7 each, you can get yourself either a small or large bowl to fill with your favorite salad combination, or a fruit salad bowl to satisfy your sweet tooth while also cooling yourself down. Our Turbulent Tuna Wrap- This wrap from the Bagel Bakery, paired with a crisp and cold drink, is light, refreshing and the perfect beach-day lunch. This meal will keep you full and satisfied, help you beat the heat, and give you energy to win that last race with your brother or play that second volleyball game with your friends. But, if you choose this option, beware of the jealous seagulls!! Our Californian Sandwich- This sandwich includes black label turkey breast, Swiss cheese, alfalfa sprouts, avocado, lettuce and tomato. These ingredients are the perfect combination of creamy, salty, juicy and cool. Just like its namesake, the Golden State, the Californian Sandwich is a beach bum’s favorite! Don’t forget to stop by the Bagel Bakery on your way to your next beach day and grab a refreshing and delicious snack for you and the whole family to enjoy! Today, Friday, June 8, is National Best Friends Day, and of all of the holidays we celebrate throughout the year, this is definitely one of the most special to us. We love Best Friends Day, simply because we have so many best friends: ALL OF YOU! All of us at the Bagel Bakery genuinely consider each and every one of our customers some of our very best friends. We always look forward to waking up every morning and hearing about our customers’ days, memorize their favorite orders, listen to their exciting stories and give them advice about the best things to order from our menu. We wouldn’t be where we are without you, our customers, and for that we are extremely appreciative. We have created an amazing little community of friends within our restaurant, which is one of our favorite aspects of the job. Thank you to all of our customers for being our best friends and for making days like today that much more special. Happy Best Friends Day from us at the Bagel Bakery.